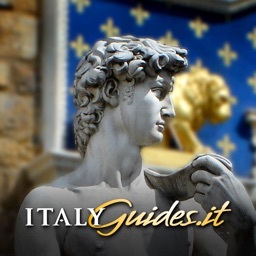 ItalyGuides.It - "Florence Guide" enables you to feel the real Florence through your iPhone. It feels just like you are talking a walk through every important detail of its tremendous history. 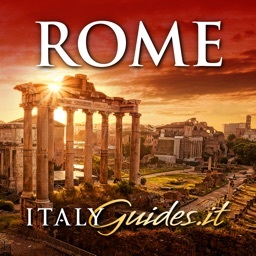 This is not just an ordinary travel guide - this is more of a mysterious and fascinating trip: a voyage across more than 20 centuries of creativity through which art and history intertwine, telling the story of what human ingenuity has created through the ages. 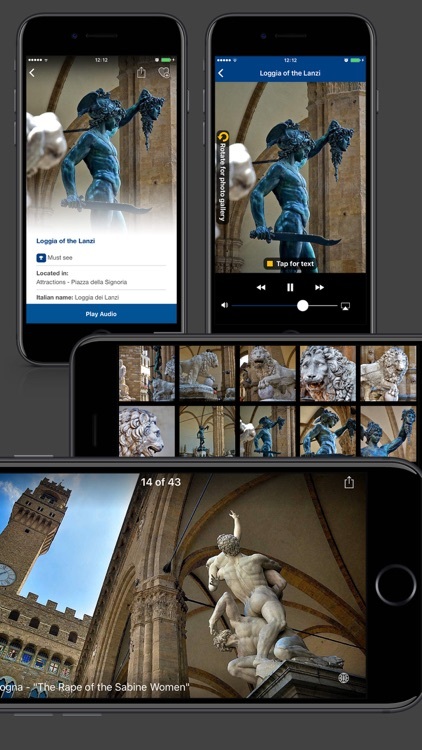 Through the use of technology and amazing audio-visual content Florence Guide will take you on an impressive virtual tour through one of Renaissance’s proudest creations. Explore Florence attractions, read history, listen audio walk-throughs and narration by a star voice over actor. 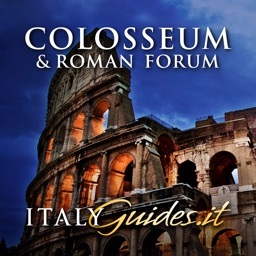 ItalyGuides.it reinvented audio-guides, giving them the feel of "Cinema" instead of the academism of traditional ones, with movie-style music, narration by American voice actor Gregory Snegoff, images and video, dramatically enhancing the storytelling process. 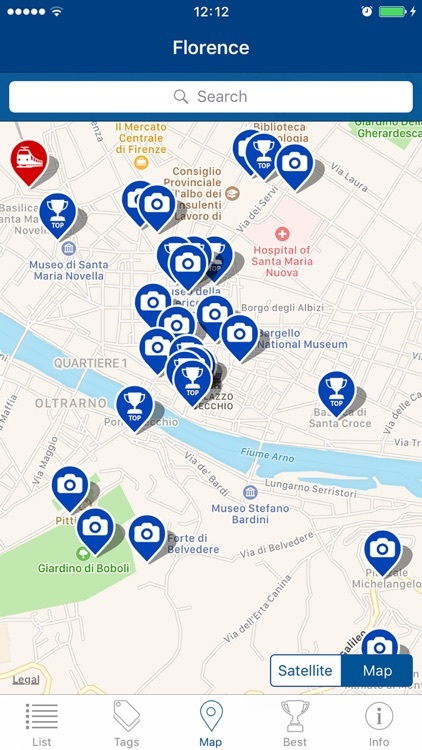 Beautiful maps each featuring several POIs with audio tracks that will let you discover the many not-to-be-missed sites of Florence as well as legends of the city. Each Point of Interest has GPS coordinates, so you can figure out which POIs are closest to you or how you can reach them by sending the request to your phone navigator (Apple Maps). 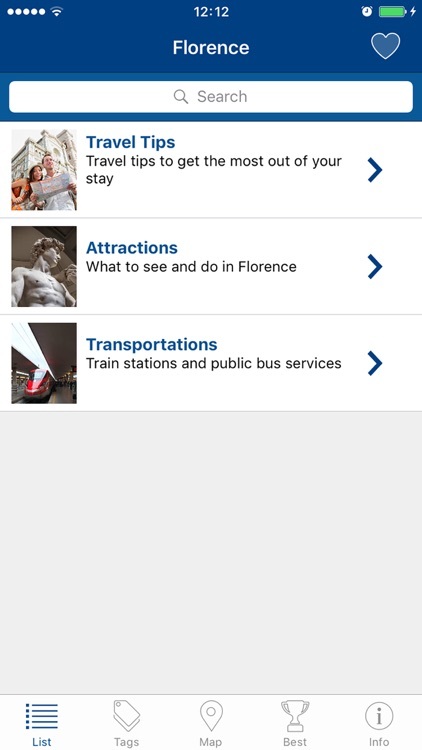 No need to explore or get informed about things to do in Florence, now you have the simplest, yet most informative selection of tips. 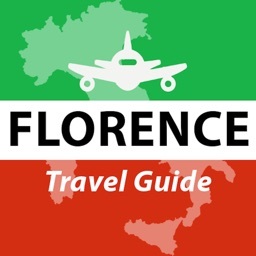 From planning your trip and tips on where to stay in Florence, to detailed guide on where to eat. 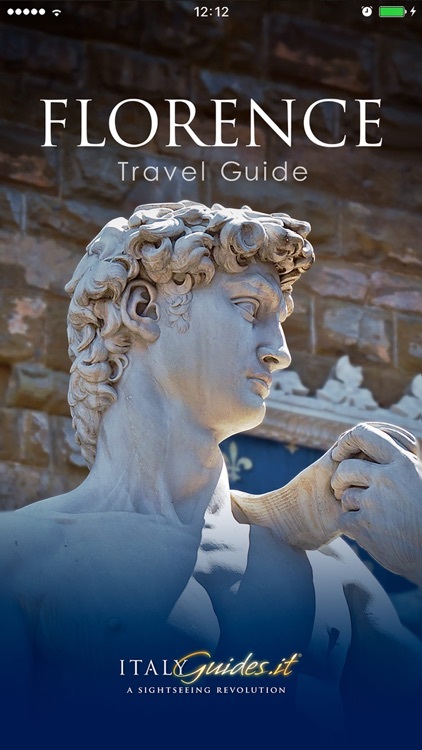 You can even make use of our custom travel guides and tips like what to visit if you have 3 days in Florence, or 20 things to do in Florence if you have time for a longer trip. 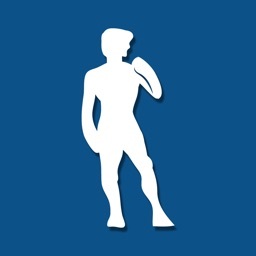 The thematic division of topics into "tags" makes it easy to find all the information and related tourist attractions. Also featuring practical video guides that includes information on the city, maps, public transit, getting to and from the airport and lots of useful travel advice. 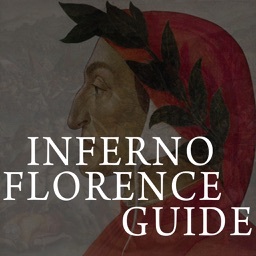 The travel information and our Florence audio guides are the result of a collaborative effort between Italian historians, industry copywriters and art professionals; it represents the culmination of work done with passion and meticulous care given to the tiniest of details - all carefully designed to make learning active, compelling and immediate. 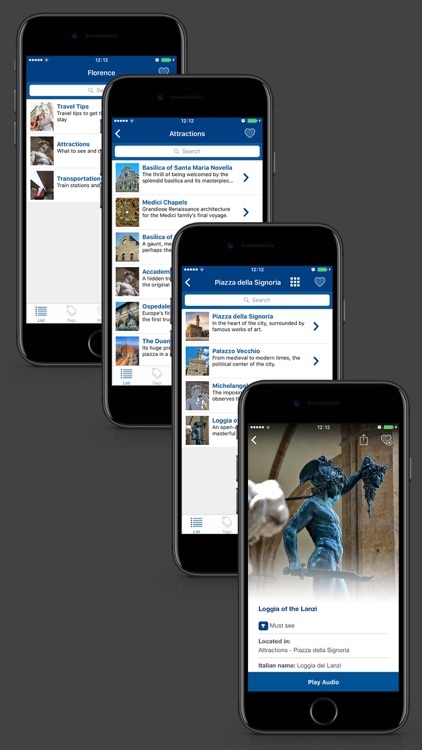 Discover the best things to do in Florence through a truly amazing Florence Guide app. Don’t waste your time exploring what to do in Florence when you visit this magisterial city. Let Florence City Travel Guide be your ultimate audio-visual travel guide!